Ford India's total sales in November 2018 went down by over 26 per cent with total sales reaching 19,905 vehicles, compared to 27,019 vehicles in November 2017. Ford India's combined domestic wholesales and exports in November 2018 stood at 19,905 vehicles, compared to 27,019 vehicles in November 2017, registering a considerable decline of over 26 per cent. The domestic wholesales in November stood at 6,375 vehicles as against 7,777 units in the same month last year. Exports recorded 13,530 vehicles compared to 19,242 units in November 2017. Various macro and micro economy factors such as rise in the prices of crude oil, rise in fuel retail prices and onetime payment of three years' insurance premium have affected customer sentiments which has led to subdued sales during the festive season this year. But Ford India is not the only company hit by this. In fact, most manufacturers have not had a great festive season this year. According to the data published by the Federation Of Automobile Dealers Association (FADA), retail sales of passenger vehicles posted a de-growth of 14 per cent selling 287,717 units in the festive period 2018 compared to 333,456 units which were sold in the festive period last year. 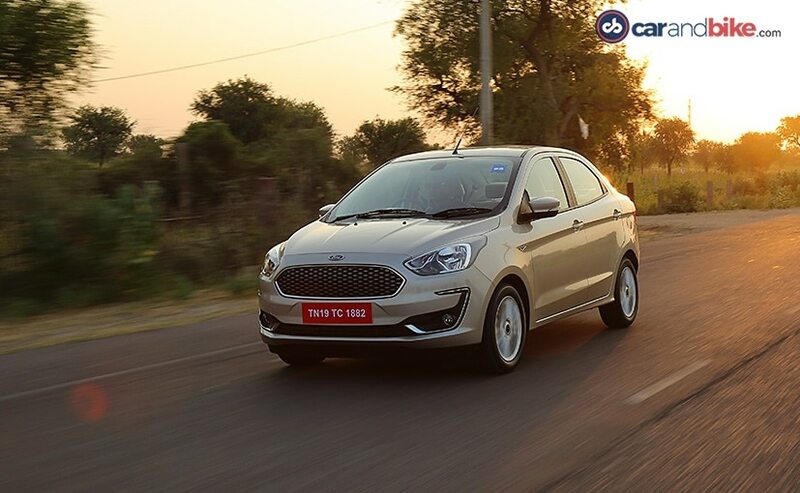 Anurag Mehrotra, president & managing director, Ford India, said, "With consumer sentiment continuing to be low due to the general economic situation, we expect continued volatility in fuel prices and inflation to cause headwinds for the passenger vehicle industry,".